Beware These Signs of a Plumbing Leak | AllTech Services, Inc.
Are You Having a Furnace Startup Problem? Chances are at some time or another you’ve had to deal with a plumbing problem of some kind. One of the most common of those is the ever formidable leak. But what makes them so scary? Well, there’re a few things. First of all, even if a leak seems “minor,” like a dripping faucet or the like, it can create gallons of wasted water over the course of a year. A “minor” plumbing problem can trick you into thinking it’s not that big of a deal. That is, until you notice the cost of your water usage starting to rise. Little leaks are known for quickly turning into larger plumbing problems. And larger plumbing problems can result in a lot of wasted water while doing significant damage to your home. Leaks that form in walls or beneath floors/above ceilings (which, unfortunately, are many if not most of them) can do so without you even noticing—at least not for a while. Most of your plumbing system is hidden from sight, so since leaks can form literally anywhere along your plumbing system, it’s vital that you know how to detect them. Even if you only suspect you might have a leak, the best thing you can do for your household is to call our pros. But where do you start in looking for a leak? 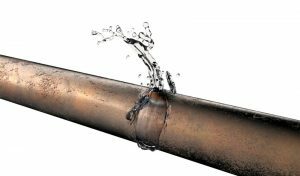 As we alluded to above, in many cases a leak can occur for quite some time before anyone even discovers it. This doesn’t mean, though, that it’s not causing problems as it goes unnoticed. Sure you might not see a ceiling caving in, however the dampness created by even the most minor of leaks can lead to problems with biological pollutant and mold growth, in addition to other relevant problems. Take a look at your water bill. Do you suspect that it isn’t actually matching your water usage? Then please consider giving our professional plumbers a call to discuss leak detection services. This will allow us to precisely pinpoint the exact source of the leak, or even rule it out as a possibility, giving you a peace of mind above all else. Running water makes a noise. You know this. But if you hear it when you shouldn’t be, this is the clear sign of a problem. Listen for water running, falling, dripping or bubbling. Are any plumbing appliances currently in use? Is the toilet running? Is someone using a sink? If not, then you could very well be hearing a leak. Again, the best thing you can do is call in a pro to accurately pinpoint the source of the leak before it begins causing damage. Give our team a call once your ears tip you off to potential issues. Does your house seem to have a musty odor to it? This is usually due to damp conditions, and those damp conditions might be caused by a leak that’s gone unnoticed. Remember, a big concern with undetected leaks is the potential for biological pollutant and mildew to thrive, not to mention the physical damage that can occur to your home from water exposure. To get in touch with a professional Ashburn plumber from a reputable company, look no further than AllTech Services, Inc. Contact us today!